Politicians and public managers utilize branding to communicate with the public as well as to position themselves within the ever-present media now so central to political and administrative life. They must further contend with stakeholders holding contradictory opinions about the nature of a problem, the desirable solutions , and the values at stake. Branding is used as a strategy to manage perceptions, motivate stakeholders, communicate clear messages in the media, and position policies and projects. Brands have a unique ability to simplify such messages and motivate different actors to invest their energy in governance processes. Public administration scholars so far have however paid little attention to branding. This book provides a systematic analysis of branding as phenomenon in governance. 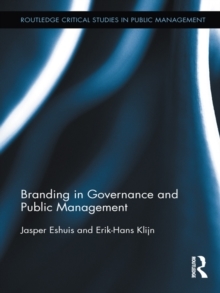 It deals with the nature of public branding, its relation to existing theories in public administration, the way branding is used as a managerial strategy in governance processes, and the risks and limitations of branding. 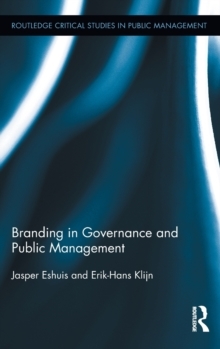 Branding in Public Governance and Management highlights the growing importance of public banding as a public management strategy to influence political events, decision-making processes and outcomes in governance processes.